Weddings are made up of so much more than the wedding day itself! Engagement Parties, Bridal Showers, and Rehearsal Dinners are just some of the fun activities you can look forward to when planning your big day. But one often stands out among the others – we’re talking about the Bachelorette Party! The time you get to spend with our closets girlfriends and celebrate your last days of singlehood! So today I wanted to share some great places to host an in-town Charlotte Bachelorette Party! Located next to Romare Bearden Park, Ink and Ivy is the perfect uptown spot to celebrate with your girls! It has a sleek upscale feel that will definitely put you in the party mood. Their custom cocktails and an amazing menu will not disappoint. And to top it all off, at night the patio turns into Vine Nightclub making it a great place to have dinner, drinks, and of course dance. 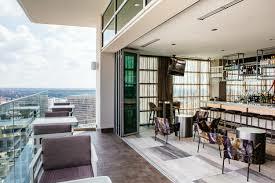 Located 22 stories into the Charlotte Skyline, this small rooftop lounge is nothing short of sophistication. 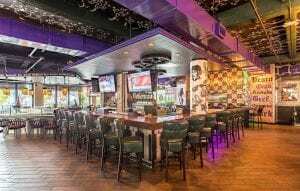 Offering small plates and handcrafted cocktails, it is a great location to hang out with your girls. Plan to go on one of their event nights and enjoy music from great local DJ’s. 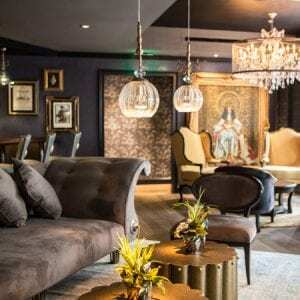 Located within The Ivey’s Hotel just of 5th Street in the heart of Charlotte’s Uptown, Sophia’s Lounge is the epitome of sophistication. The decor and vibe is unique to say the least showing off a vibrant European flair. Get your girls together and find and intimate corner to sit and enjoy amazing craft cocktails and shareable plates. Whatever you get it will sure to be a night to remember! Want help planning your wedding? Contact Magnificent Moments Weddings, we would love to help you every step of the way!